Vick Allen wins Awards for "National Vocalist of Vocalist", "National CD of the Year" and "Best Engineered Recording", at the 2014 Jackson Music Awards! "This sleek, Willie Claytonesque ballad reminds me of what Peggy Scott-Adams told me about meeting Vick by chance when he was still singing gospel. Peggy was yearning to get back to Gospel Music, while Vick wanted to move to R&B. Looks like Peggy passed the baton to Vick. He's done nothing but get better, and today he's one of the most charismatic performers in Southern Soul." "Vick Allen's head nodding, as he sang "Soul Music" in the video for arguably the best single of the year proved to be the exception to the rule of mediocrity amongst stars in 2012, notching a number-one tune less than two years after hitting number one in 2010." 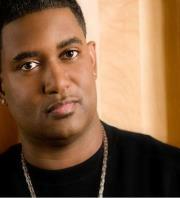 Vick Allen donned a retro-image and released a modern sounding Soul album simply entitled "Soul Music". Runner-up Ms. Jody continued her hot streak with "Ms Jody's In The House", as did Mel Waiters with "Got No Curfew". Willie Clayton released his third album in three years, "I Am The Rhythm & Blues". Garland Green of "Jealous Kind Of Fella" released his first album in 29 years called "I Should've Been The One" and last year's winner Donnie Ray came back strong with "I'm Goin' Back". Other album nominated were "It's My Time" by Big Cynthia, "A New Beginning" by L.J. Echols, "The Greatest Song I Ever Sang" by Vel Omarr, "Life After Bill" by Peggy Scott-Adams, "Last Pay Check" by Big G, "Just Like Dat" by Mr. Sam, "Watch Me Work" by Jeff Floyd, "The Devil Made Me Do It" by Chuck Roberson, "Do Not Disturb" by Jesse James, "Hammer" by Jaye Hammer and "Telling Like It Is" by Karen Wolfe. Despite not releasing a new album in 2011 he placed two songs from his 2009 album, "Truth Be Told", on the charts ("I Need Some Attention", "I'm Thankful For My Woman On The Side") and was featured on two other hits in 2011 ("Haters Gone Hate" by TK Soul Omar Cunningham Vick Allen and "I Gotta Have It" by The Revelations feat Tre Williams with Vick Allen). This goes along with his writing, production and live performance work for the year!